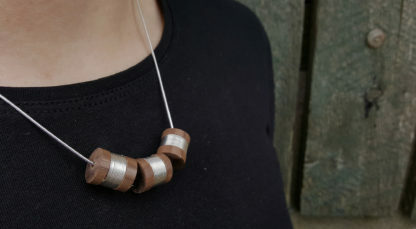 Handmade wood turned walnut and purple heart wood necklace with sterling silver inlay. 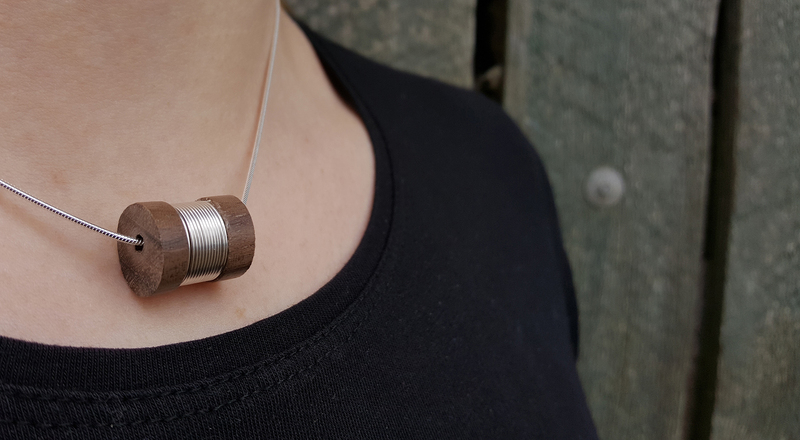 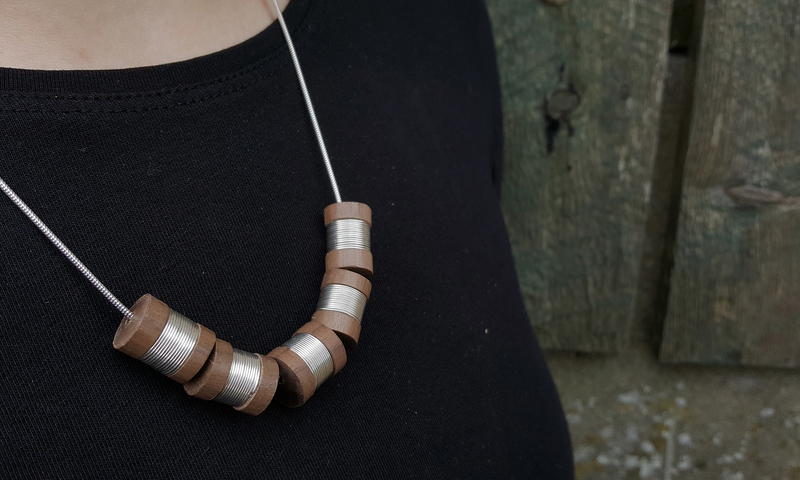 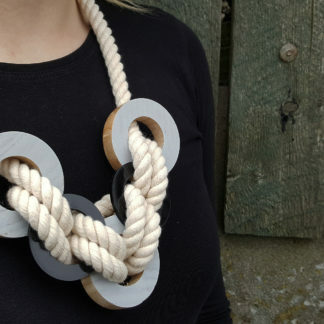 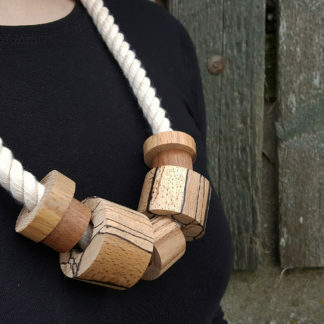 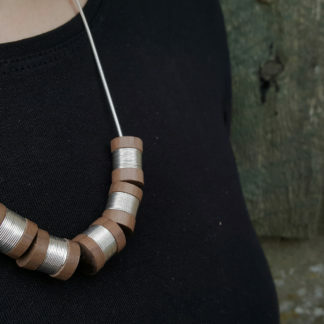 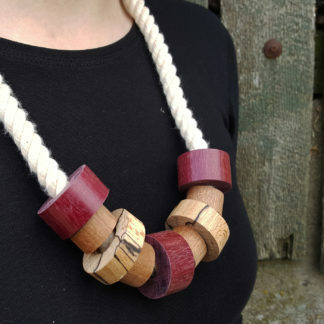 These necklaces are simpler version of the rope jewellery that have been inspired by bobbins. 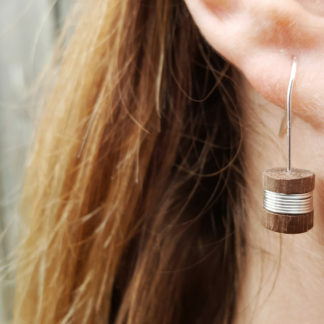 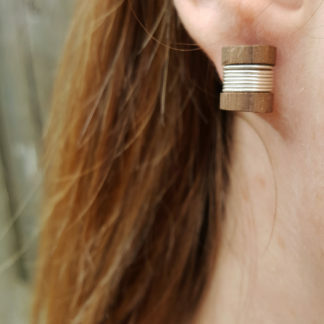 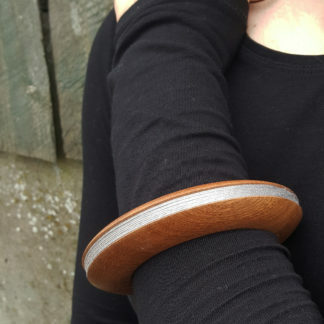 Sterling silver wire is inlayed around the Walnut wood to add value.